Here in the museum world (or more correctly, in any working world) we are taught to cultivate relationships in the hopes that they will lead to further employment down the line. We are taught how to hold a drink, balance a plate of appetizers, smile, shake hands, be witty, and keep a name tag straight – all at the same time. I’m not sure if this juggling act is a science or is an art! Networking does occur at large social gatherings, galas and the like, where these skills come in handy. But contact making comes in many forms. It can be formal and involve phone numbers, references, and business cards, or it can also be more impersonal and entail LinkedIn and other forms of social media. See what I did there? In my experience at a large institution like the Field Museum, networking is impromptu; it’s an on your toes type of game. The relationships that are built here are less likely to start off as a big to-do and are more likely to do with what you do and when you do it. As I head into my third week at the Field, my priorities have shifted from getting to know my way around to getting to know how best I can make an impact. I work hard, I dress to impress, I come early and leave late, and I slowly scope out how best to cultivate relationships with my fellow interns, my co-workers, my bosses, my bosses’ bosses, and so on and so forth. Mostly, these things cannot be planned. Interactions happen – you just have to be ready for them. Don’t walk to the museum with your headphones on, do put a smile on your face in the elevator, and always be ready to offer up a comment about something! Anything! Take advantage of the times when a newfound contact says, I know ____ and she’s looking for a volunteer to do _____. It might just mean you get to spend the night dozin’ with the dinos and helping to manage programming for 800 overnight guests sometime in the near future! 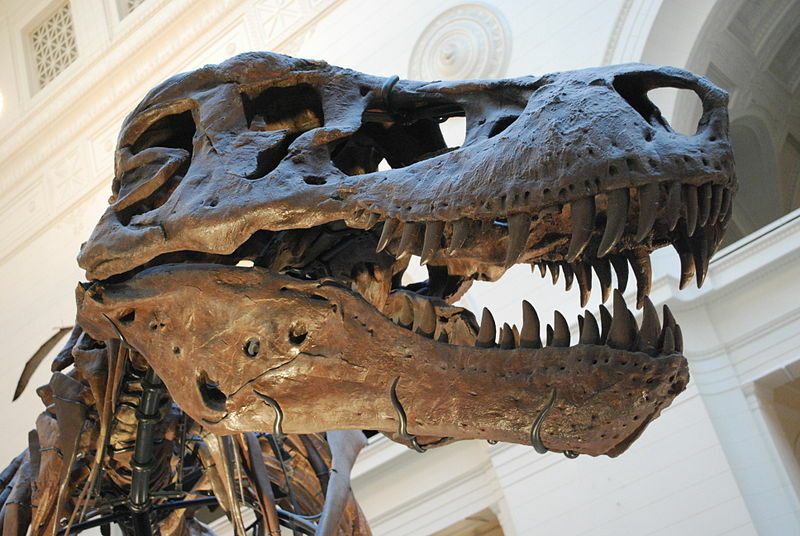 While here at the Field Museum I have come to the conclusion that everyone can learn a few things about networking from Sue the T-Rex. She has 58 teeth and a killer smile that she knows how to put to good use. She keeps people on their toes and is a conversation starter. She recognizes how to put herself in the right place at the right time, and consequently she is definitely the center of attention. I’ll call them “Tips from the T-Rex” – I’m sure there will be more to come!